& from Wales / Cymru including Higher Melcombe. There are several factors that make this edition extremely collector friendly. Firstly is rarity. The picture sleeve is more often found to be of US manufacture or with the more common 1973 calendar attached. Not so here. Secondly, of course, is condition. This first issue UK 'Shorewood Packaging' sleeve with the 1972 calendar attached is in astonishing condition. Usually found with badly rubbed covers, pulled perforations or missing altogether, this copy exhibits only light evidence of wear to the edges. The calendar remains perfectly intact with few signs of stress at the opening edges & each panel remains clean. The vinyl compliments the condition of the sleeve very nicely. The wax is clean & there are a few faint spindle marks on the labels to indicate play, the vinyl has just a few light cosmetic surface marks. This copy of Killer more than makes up for all our years of throwing copies away due to poor condition! This one firmly meets an excellent grade all round, if not an ideal upgrade copy for the keen Alice Cooper collector. 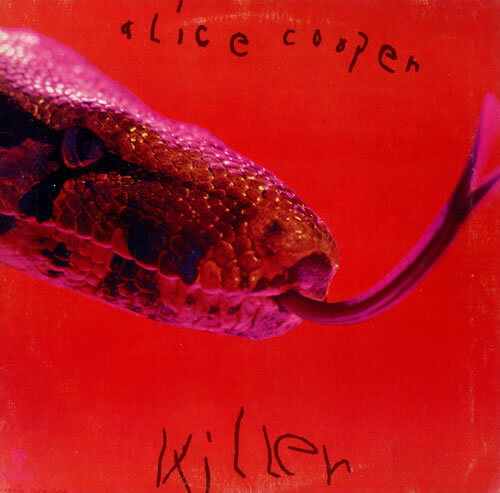 Product Information Alice Cooper Killer - 1st UK vinyl LP album (LP record).